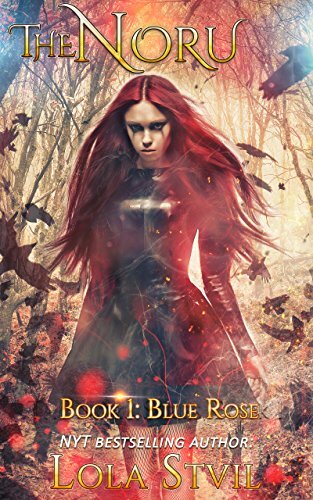 Pryor is a fourteen-year old Angel with fiery red hair, quick temper and a “take charge” attitude; she leads a team of powerful Angels called “Noru”. But when teammate and hottie, Aaden, breaks her heart; she runs away to New York City. There, Pryor hopes to create a drama free life. However, her hopes are dashed when on a quiet summer night, hundreds of humans, inexplicably climb up to the rooftops and leap to their death. Pryor discovers that a new evil has surfaced and is using mind control to put an end to humanity. Things get even worse when Pryor finds out the new evil is in fact a secret brother whose existence her parents kept from her. How can she be expected to kill the new evil when he’s her own flesh and blood? And after having been lied to all her life, how can she ever hope to trust her parents again? She gathers her team—including Aaden—and tries to formulate a battle plan. she has what it takes to tackle both evil and her love life. She also wonders why Aaden has gone from a kind Angel to a ruthless killer she barely recognizes. Can she defeat the most evil force the world has ever seen and save the Angel she loves? Or will she have to choose between her mission and her heart?